Having a church Facebook page is important, but it can be tough to know how to get started. Our Church Facebook 101 Guide can help! Having a church Facebook page is an important part of your overall outreach strategy, but it can be tough to know where to start. 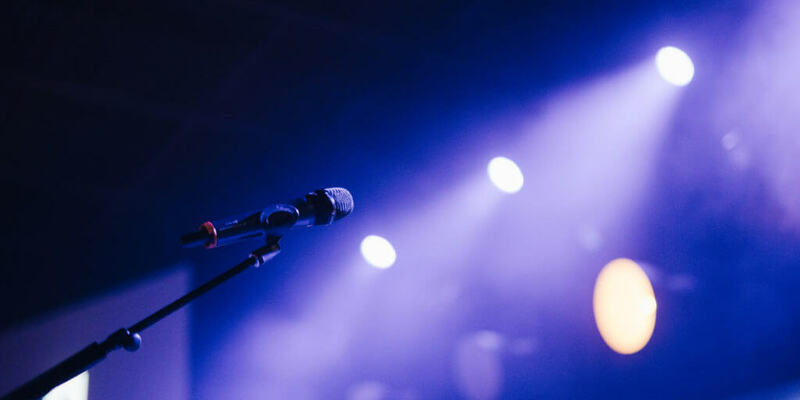 To help, we’ve rounded up the basics of Facebook for churches to get you started reaching and connecting with more people online. 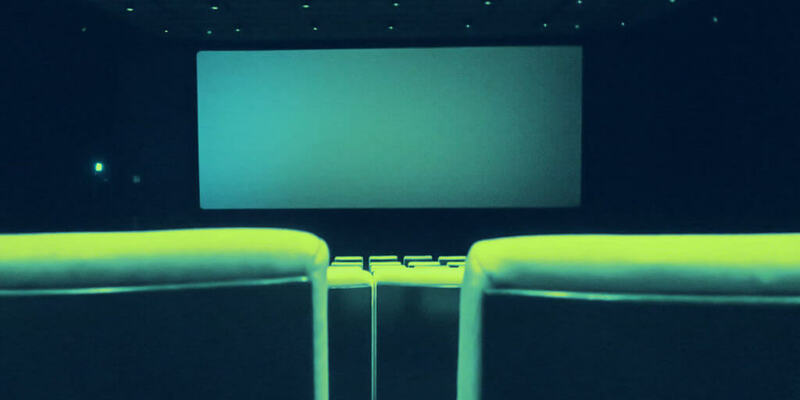 If you imagine your church as a home, your digital presence serves as the front porch. Your website and social media channels are often the first places a potential guest will visit before ever setting foot in your church. There are different kinds of Facebook accounts, including profiles, pages, and groups. Profile: These are used for individuals. If someone wants to see the content on a profile page, they must request to be friends with the person who owns the profile page. You want people to easily find your church, regardless if they are “friends” with your church or not. For this reason, a profile is not the best option for a church Facebook account. Page: Pages are like profiles, but are used for organizations, businesses, brands, and public figures. Pages assign administrators (admins) to manage the page. Having a page helps promote your church and makes it easy for anyone to find and see your content. This is the best option for your church Facebook account. Groups: Groups require people to join so they can connect with others around a shared interest. They are great to pair with your church page to create a space for more private conversations between your church and your members. Groups can be public, closed, or secret, depending on what is being discussed in the group. For churches, a closed group that members must request to join is the best option. Will Facebook work for your ministry? You want to meet people where they are. Facebook has over 2.2 billion active users each month, and over 1.45 billion daily users. That’s a lot of people your church could potentially reach! 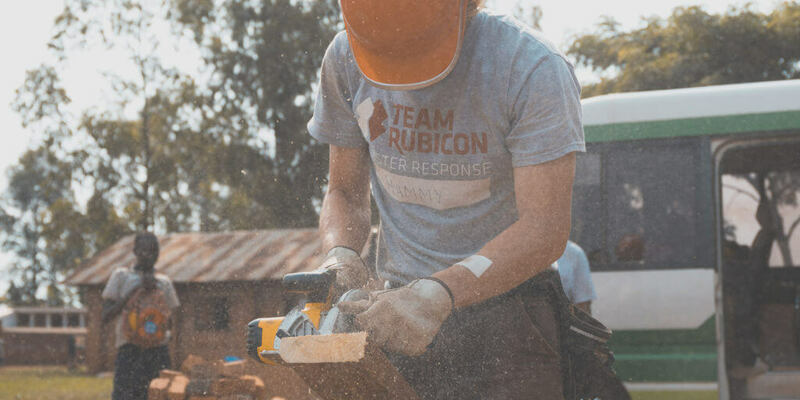 You can build connection with new and existing members outside of your weekly services. On average, your church is probably only interacting with your members and community in person for a few hours per week. Facebook gives you an opportunity to make connections online when you can’t connect face to face. Social media helps you stay relevant. 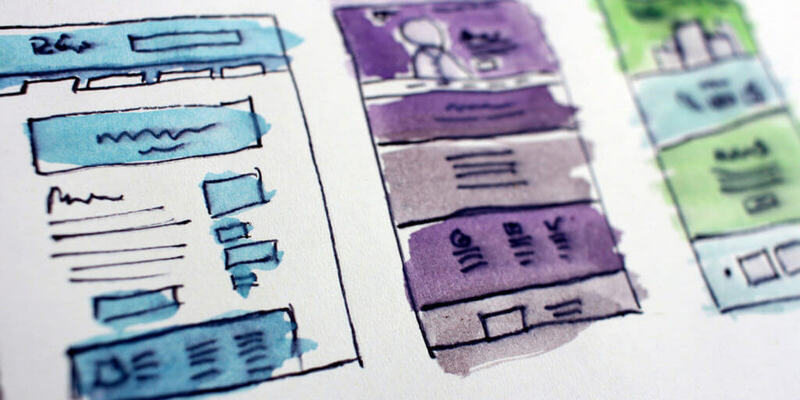 Digital forms of outreach may seem intimidating if you’re unfamiliar with these methods. Facebook and other social media platforms can be learned, and your church will benefit! 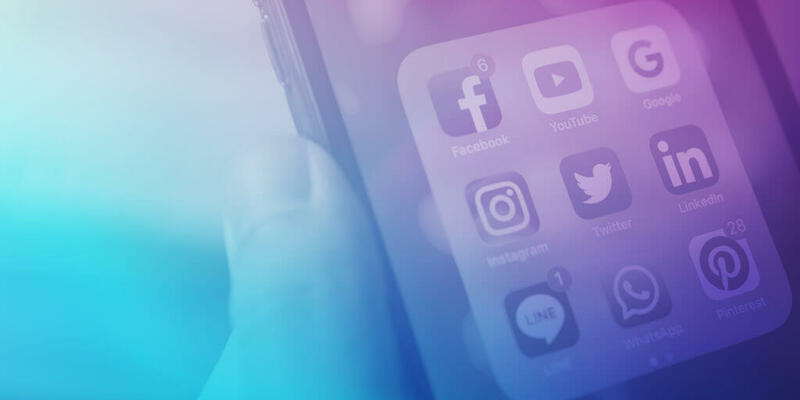 Social media is one of the best ways you can connect with younger demographics. In fact, the largest demographic on Facebook is made up of people from the ages of 25-34. If you’re looking to reach young families, Facebook is a great way to start. 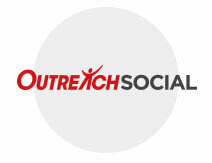 Social media can serve as a platform for evangelism and outreach. Facebook is an opportunity for your church to be a light in a space that can often feel dark and negative. Your church can use Facebook to share scriptures and other encouraging content that helps spread the love of Jesus. How do you make a Facebook page? Log in to your personal Facebook account. Select “Create Page” from the drop-down menu or go to https://www.facebook.com/pages/creation. Select your Page Type. 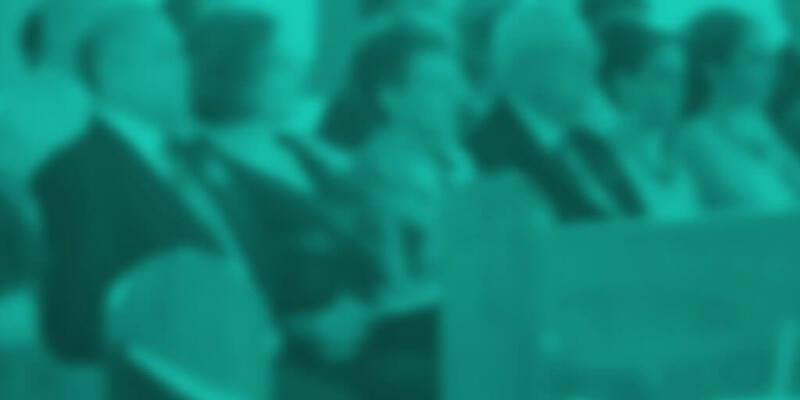 The best option for churches is Company, Organization, or Institution. You can then select Religious Organization and add a page name (this would be the name of your church). Use your church logo for your picture so that it’s easy to recognize the page is for a church. Keep in find that Facebook will make your profile image circular in the newsfeed, so make sure any text stays toward the center of your image, otherwise people may not be able to read it all. It’s important to keep your cover photo fresh. You don’t have to change it every week, but regular updates will help keep your page compelling. Bonus Tip: Don’t have an in-house graphic designer? Canva has preformatted cover photo designs for Facebook that you can customize for free! 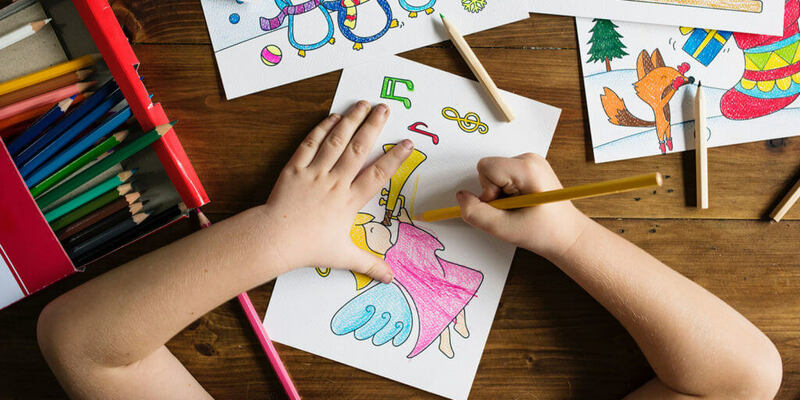 Create a free Canva account to get started, or apply for Canva’s NonProfit program to access even more designs and templates. You can customize the Call to Action button to direct people to your website, show a video, or help a visitor learn more about your church. You can also customize the different tabs on your Facebook page. Go to Settings, then click “Edit Page”. You can then add or remove relevant tabs. The best template to use for a church Facebook page is the Non-Profit template. 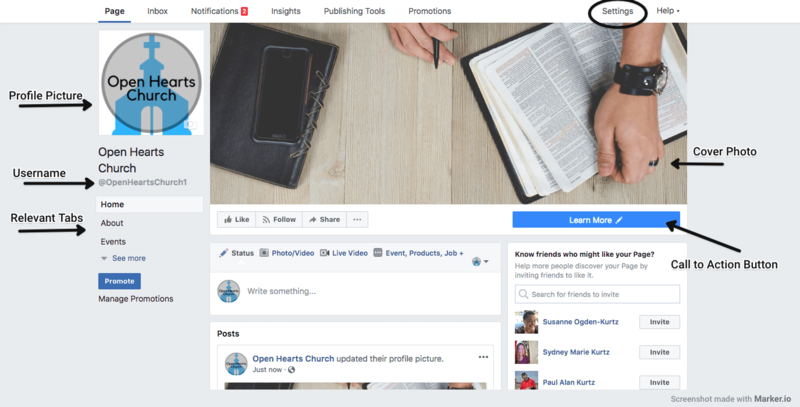 How do you manage your church Facebook page? As an admin for your church Facebook page, you can assign roles to other people and help monitor the page. Start by assembling your church Facebook team. These people will have access to the setting of your page so they can post on behalf of the church. Admin: Can manage all aspects of a page and assign new page roles. Editor: Access to all admin functions except page roles and managing settings. Moderator: Can respond to comments and ban people, but can’t post content. Analyst: Can see page insights (you probably won’t use this role, either). Go to Settings, then “Page Moderation”. Select what words you want to be blocked from your page. Go to Settings, then “General”, then “Profanity Filter” to block profanity from appearing on your page. Go to Settings, then “People and Other Pages”. Click the gear to remove or ban people who like your page but are leaving comments you don’t approve of. 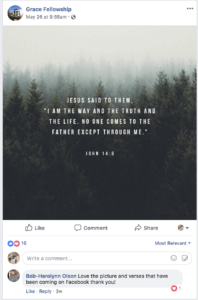 What do you post to your church Facebook page? Blog posts and articles you find interesting. Remember, Facebook loves conversation so post with creating discussions in mind. Video — this could be Facebook Live, shared inspirational video from site like Faithit, etc. Still not sure what to post? An automatic Facebook posting service like Social Reach Daily can help! How do you post to your page? Posting on your church page is just like posting on your personal profile. In the “Write Something” box at the top of your page, type in what you want to post. You can also add photos or video to your post. If you want to post to your church page as yourself, click the drop down menu and select your personal account. Facebook has a built-in scheduler you can use to schedule your posts in advance. There are third party scheduling applications, too, but the Facebook scheduler is free and built in, making it simple to use. 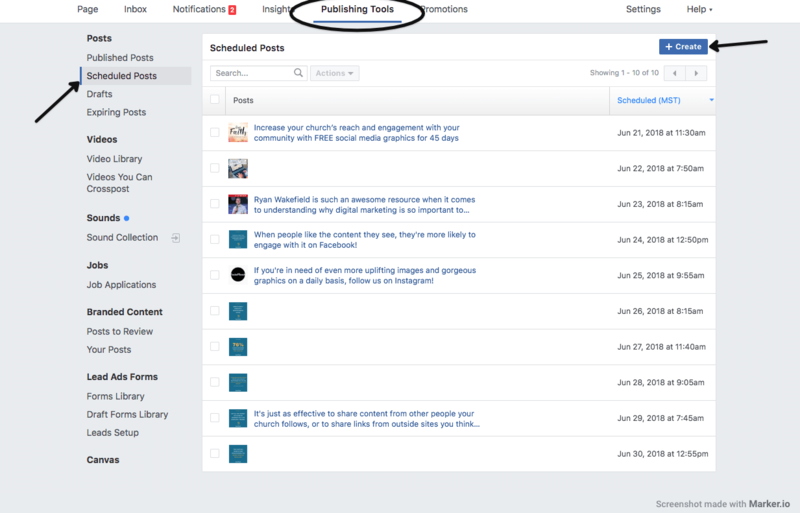 To schedule a post, go to Publishing Tools, then Scheduled Posts, then Create. Here, you can create your post, set a date and time, and hit “Schedule.” Your post will automatically publish at the scheduled time! 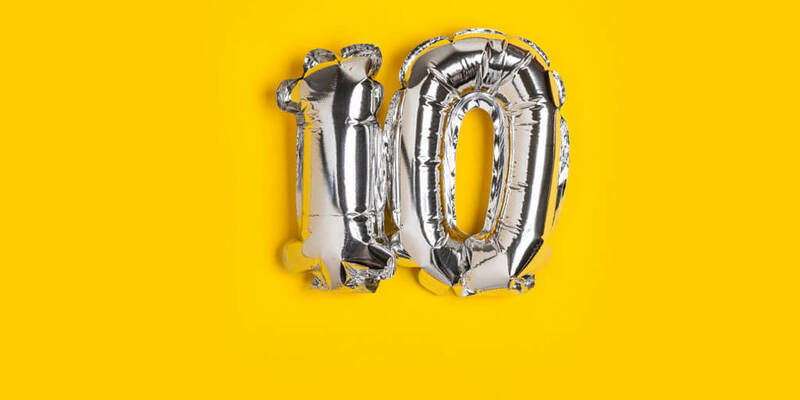 Taking 30 minutes or an hour each week to schedule your posts means you won’t have to worry about keeping up with it during the rest of the week. Make sure you regularly check your Facebook page for messages. Visitors can leave you messages, allowing you to have a private conversation like you would through email. You’ll see these messages in your inbox. Answering them quickly lets people know you’re happy to hear from them and value their questions. It’s also a good idea to follow up with any comments on your Facebook posts to help keep a conversation going. You can keep track of notifications about likes and comments on your posts in the Notifications tab. 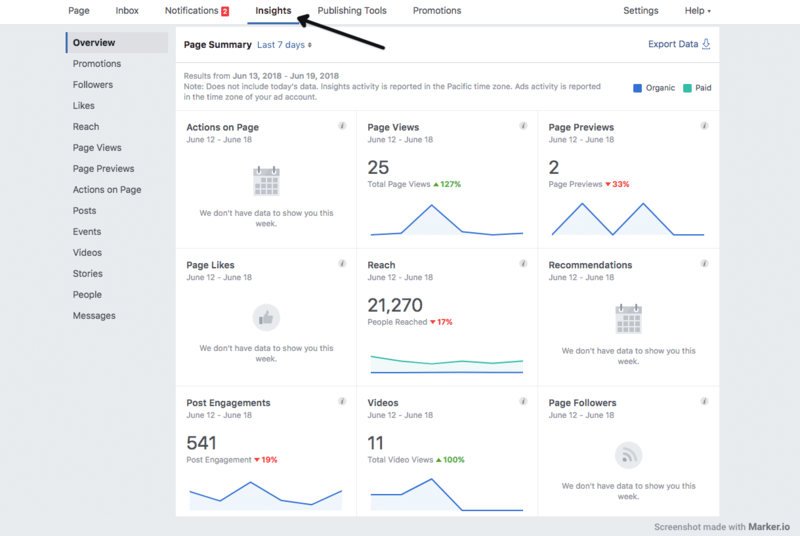 Facebook gives you access to reporting and analytics that help you see how your page is performing. 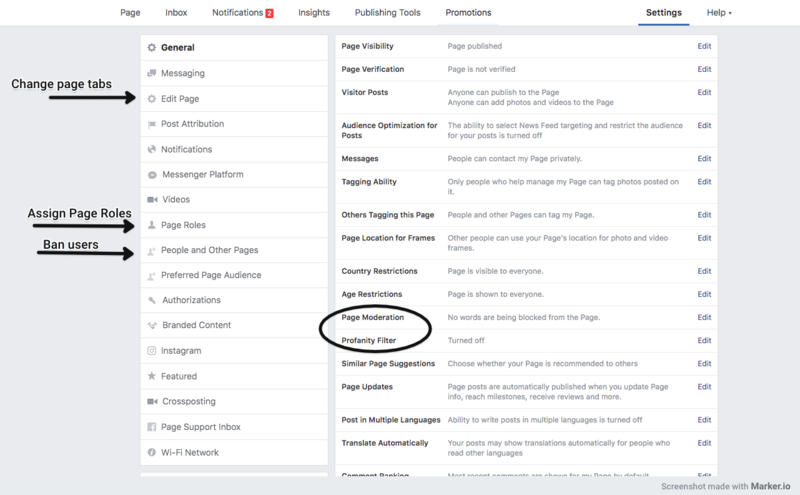 The Page Insights tab can help you understand how people are engaging with your page, and details about who your audience is. We hope these Facebook Basics will help your church get started in the social media space. 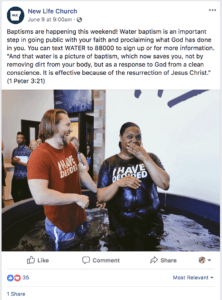 Facebook has the power to help your church connect with new audiences every day. By understanding and implementing the basics of Facebook for churches, you’ll be well on your way to a successful church Facebook page! their likes, comments, and shares on Facebook.